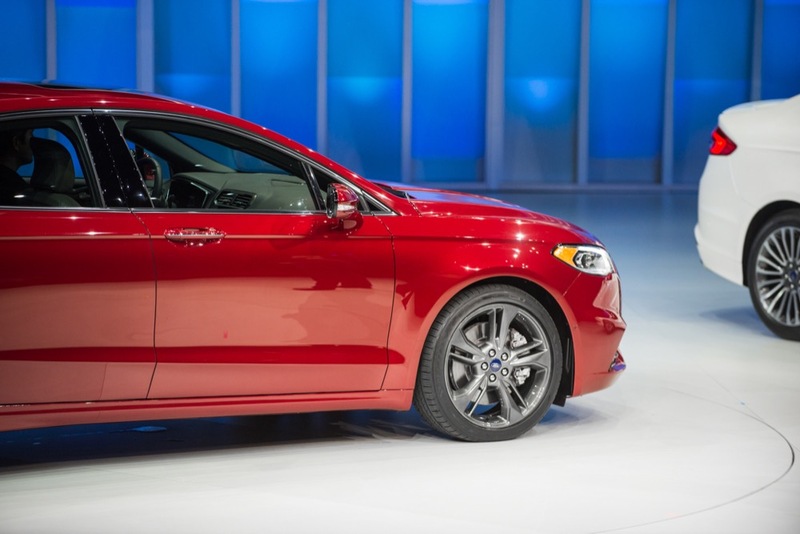 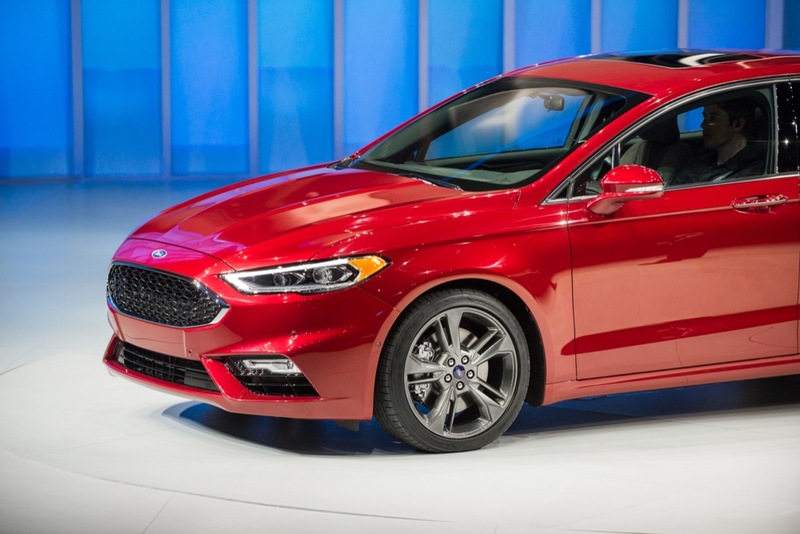 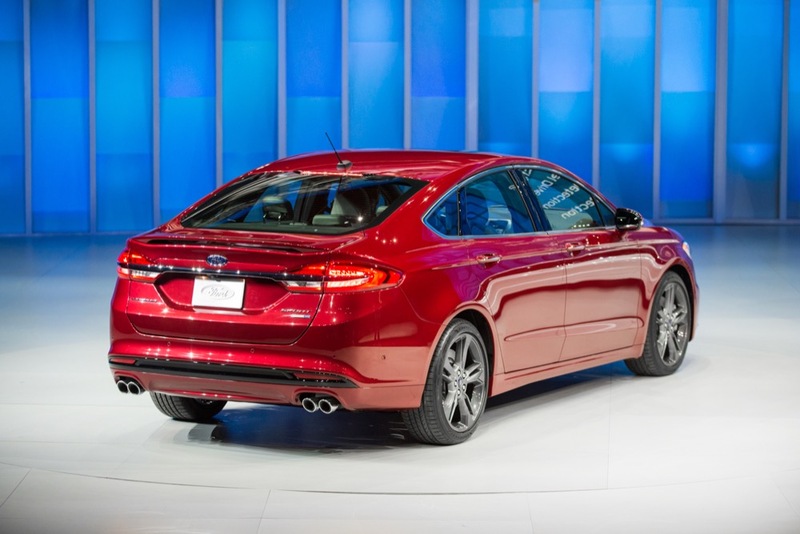 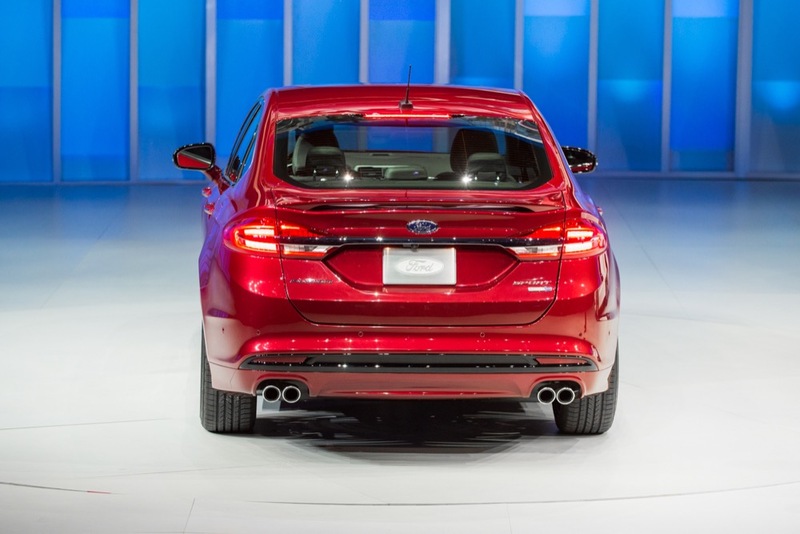 Just ahead of the 2016 Detroit North American International Auto Show (NAIAS), Ford Motor Company has pulled the wraps off of the refreshed Fusion mid-size sedan, and with it, an awesome new addition to the model range: the 325 horsepower, all-wheel drive 2017 Ford Fusion V6 Sport. 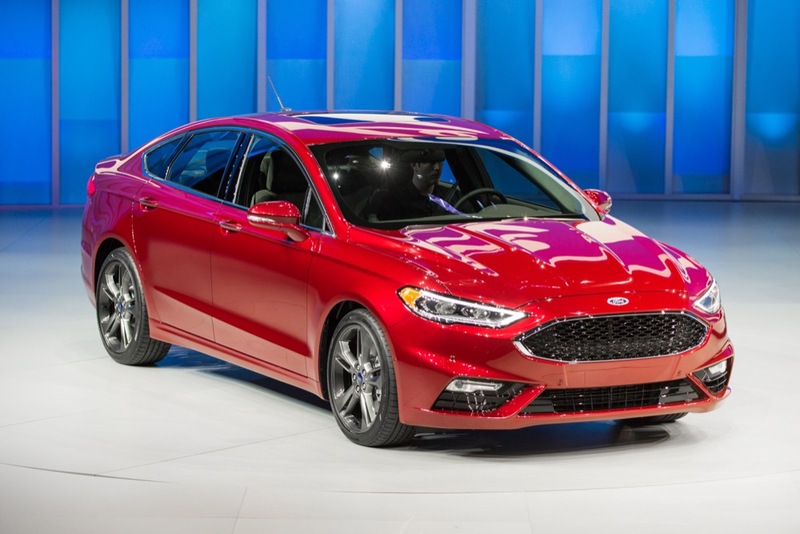 Powered by Ford’s twin-turbocharged, 2.7-liter EcoBoost, the new 2017 Ford Fusion V6 Sport more-or-less answers our long-uttered prayers for a performance “ST” variant of the sedan. 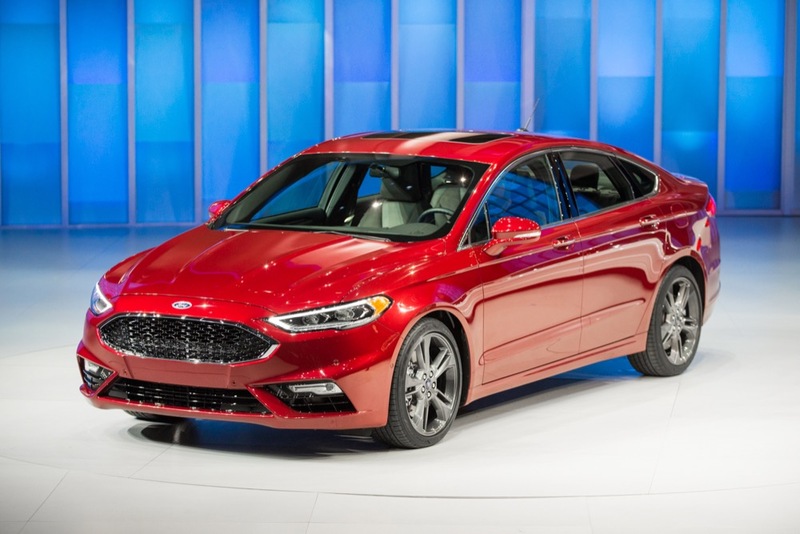 The engine in this model puts out an impressive (estimated) 350 lb-ft of torque, and a continuously-controlled adaptive suspension system ought to grant the car the best of both performance and ride comfort. 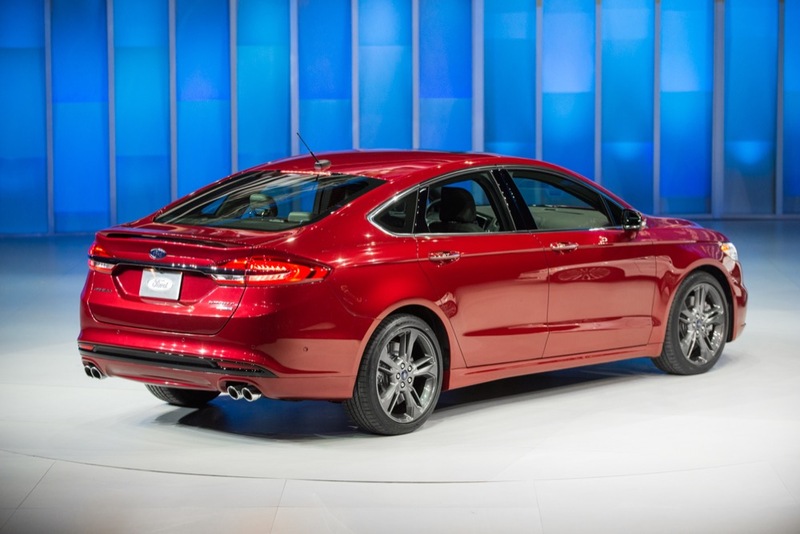 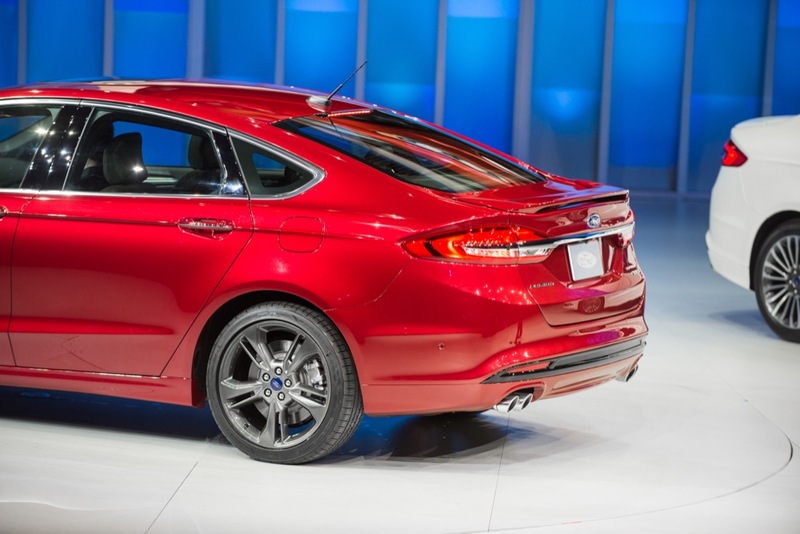 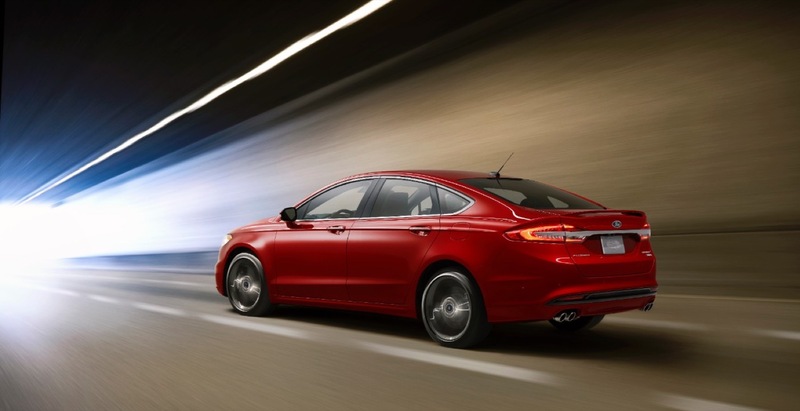 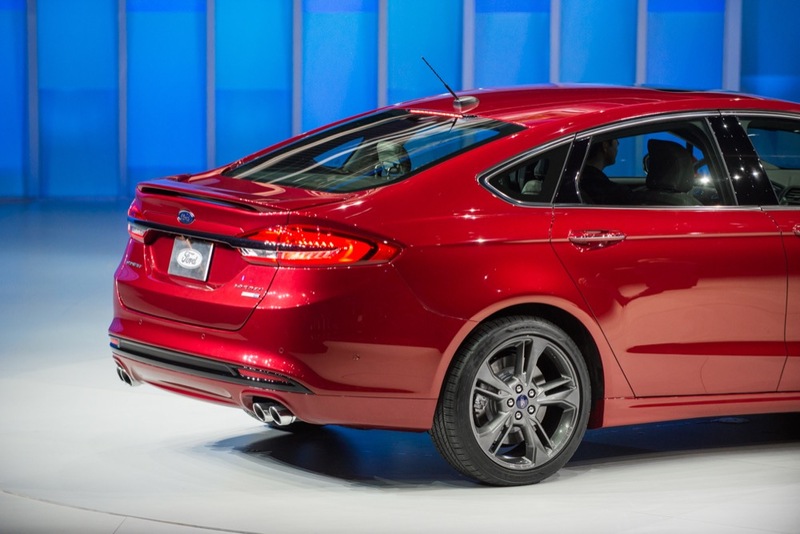 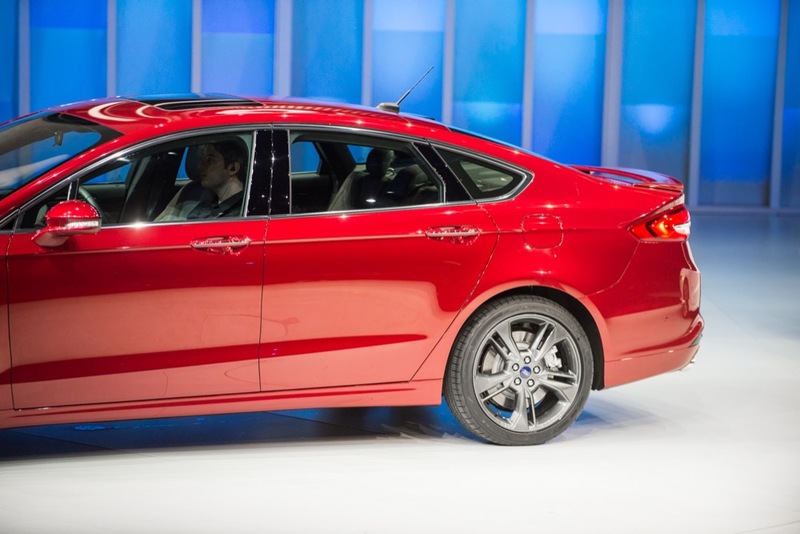 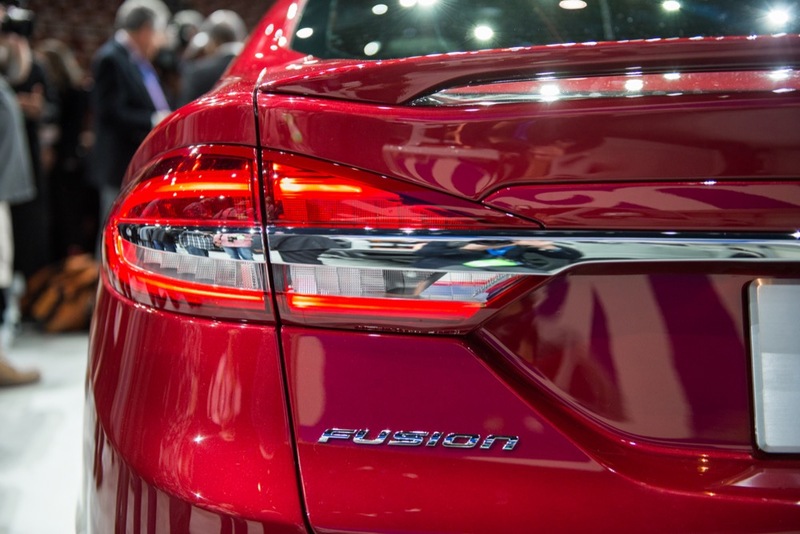 Also new: the 2017 Ford Fusion will gain an additional “Platinum” trim level to slot above the Titanium model. 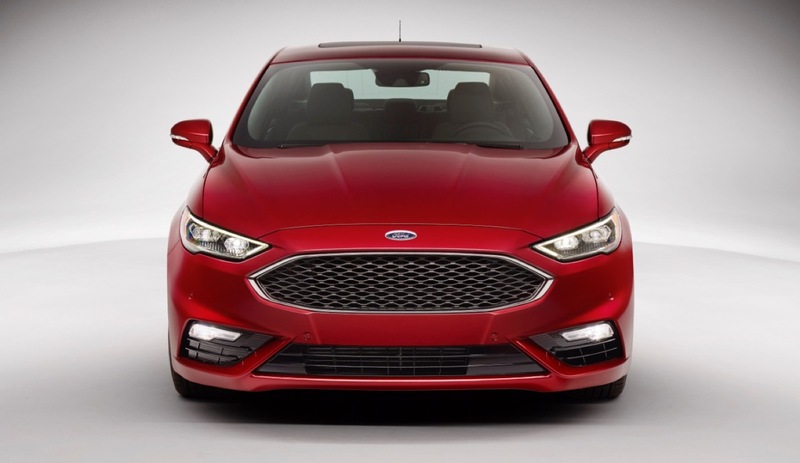 The Platinum boasts antiqued Cocoa leather wrapping on the instrument and door panels, Venetian leather on the steering wheel, a unique, Magnetic-paint front grille finish, and large, 19-inch alloy wheels. 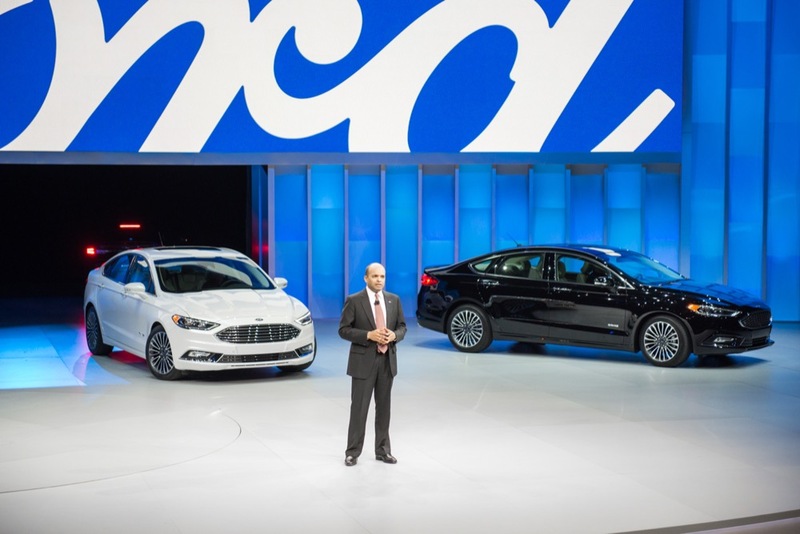 Of course, the Hybrid and plug-in hybrid “Energi” models have been revamped as well, with revised powertrain software and more efficient electric motors, expected to translate into better efficiency and improved driveability. 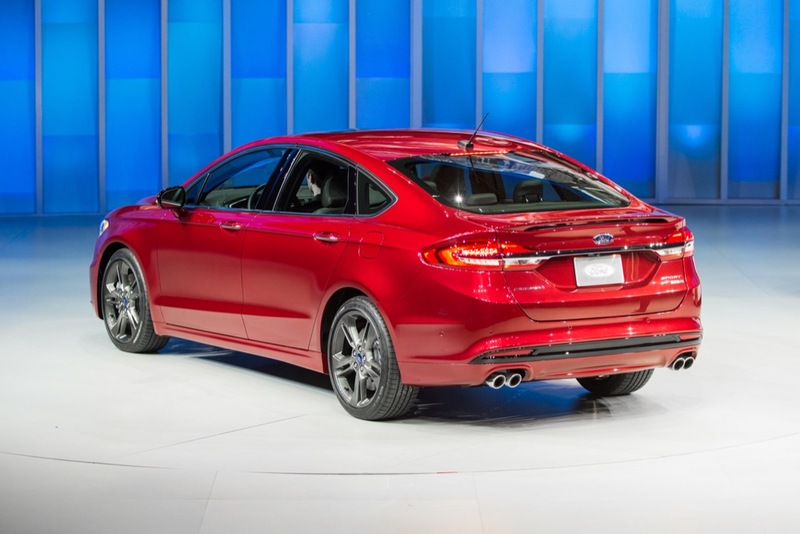 The 2017 Ford Fusion Energi PHEV retains the same 7.6-kWh battery pack as the car it replaces, lending it an expected electric-only range of around 19 miles. 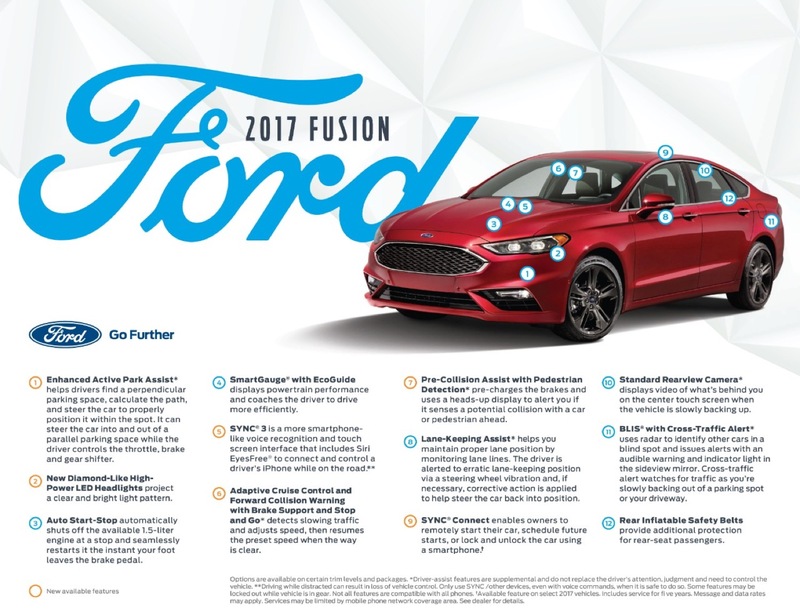 Rather needless to say, all the same technology that is currently available on the Fusion will be either retained or improved-upon for the 2017 model year. This includes the optional Lane-Keep Assist, Blind Spot Information System with Cross-Traffic Alert. 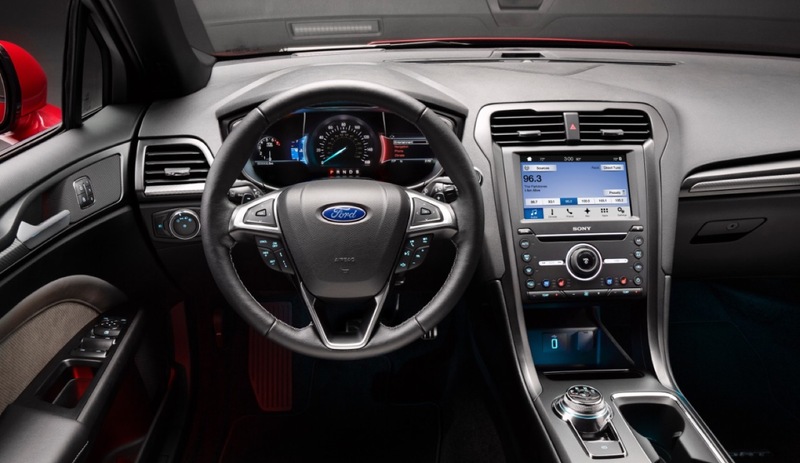 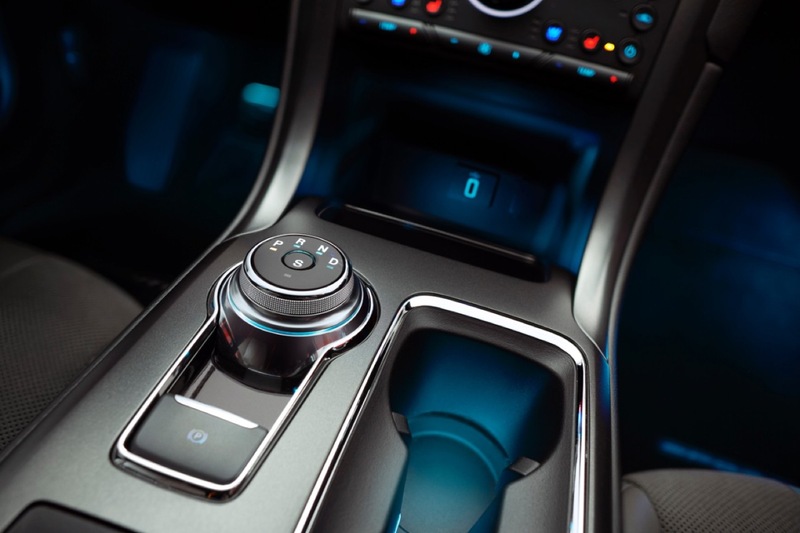 Infotainment, naturally, will transition to the latest SYNC 3 system.